Did you know that cardinal numbers under 10 should be spelled out? I know what you’re thinking: There’s nothing Hannah’s not good at. The report is due at noon. My sister is arriving on Monday. She’s having a party on the Thanksgiving Day. She likes to drink black tea in the morning. It’s too cold in autumnto bike on the path outside. John Smith lives at 55 Boretz Road in Durham. Her farm is on Allder School Road. And we use in for the names of towns, counties, states, countries and continents. She lives in Sanford, North Carolina. The store is based in Ireland. Did you know this symbol has a name? 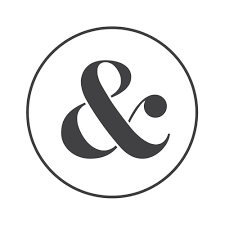 It’s called an ampersand and it’s grossly over-used in business writing. Ampersands are pronounced as written: am-per-sand. In general, it is not proper grammar to simply abbreviate the word and replace it with an ampersand. Why? Because the ampersand symbol is considered more casual. If you’re working for a business-to-business or business-to-consumer company, you should not be using it. If you want to send it in a text message to your bae, however, that’s fine by me. In conclusion, it’s not that I hate the ampersand, it’s just not correct in formal, business writing.